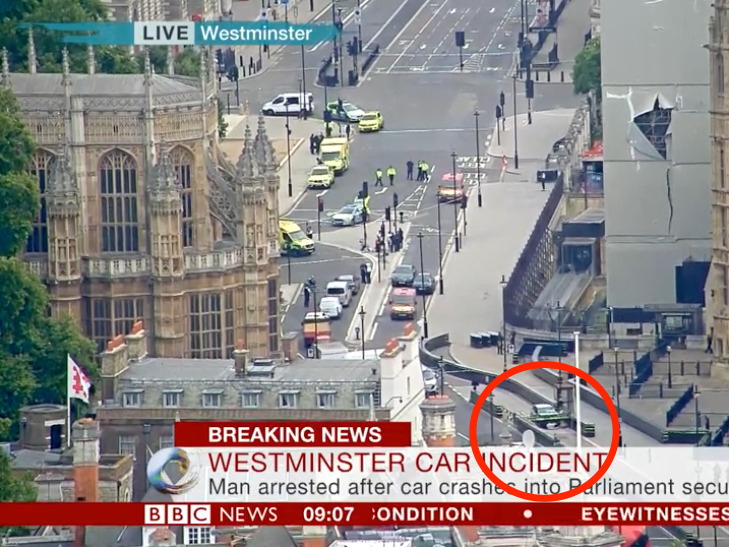 A car crashed into the barriers outside of the UK Houses of Parliament in London on Tuesday morning. Police detained a man on the scene. Several people are injured, but police say they don’t believe that anyone is in a life-threatening condition. Police say they are treating it as a “terrorist incident” at this stage. 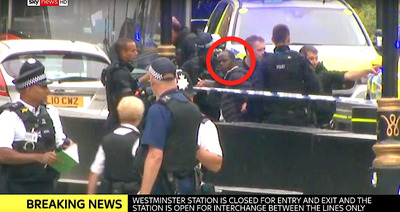 LONDON – Police have arrested a man on suspicion of terrorist offenses after several people were injured when a car crashed into the barriers outside of the UK Houses of Parliament in London. Police say they are treating it as a “terrorist incident” and that they have arrested a man in his late-20s who remains in police custody at a south London police station. 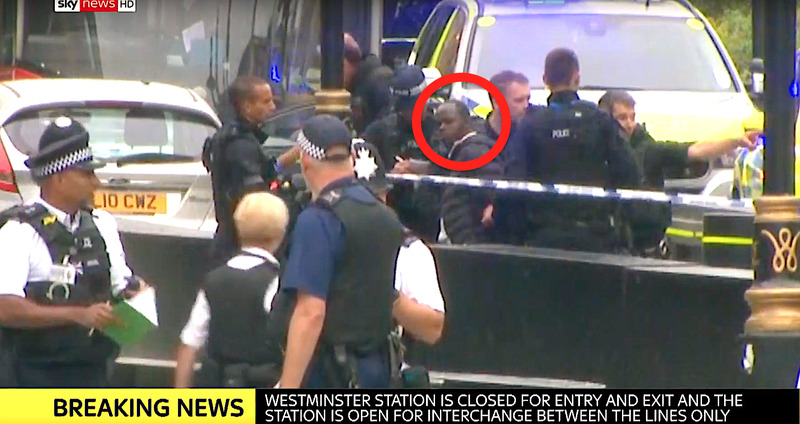 A video by UK broadcaster Sky News shows police leading a man away from a silver car by armed police officers. Police did not say whether this man is the man detained on terrorist offenses. Business Insider has not been able to independently verify his identity. The crash took place at 7.37 a.m. local time on Tuesday, according to the Metropolitan Police. They said that no one is believed to be in a life-threatening condition after the incident, but that several people had been taken to hospital. The Metropolitan Police’s Counter-Terrorism Command is leading the investigation. London Ambulance Service said it treated two people at the scene for “injuries that are not believed to be serious” and has taken two of them to hospital. BBC NewsCircled: the vehicle which crashed into safety barriers outside the Houses of Parliament. The service said it sent three ambulance crews, responders in cars and an incident response officer to the scene. Police said that the car, a silver Ford Fiesta, hit both pedestrians and cyclists. There were no other people in the car and no weapons have been recovered. The vehicle is still at the scene and is being searched.